When we all have unique face than why we need to carry plastic IDs and credit cards to make payments, well some other dudes though exactly the same thing and now the world's first facial recognition payment system lets you ditch your credit card. Finland-based company Uniqul is preparing to release a payment system that uses facial recognition software to link a customer with his or her bank account. Instead of swiping a credit card to purchase goods, now you can just gaze into a camera. A Uniqul tablet at check-out stations would take the customer’s photo as they approach. Within seconds the tablet processes biometrical data to locate the individual’s account within the database, which can be registered with any major credit card, Uniqul says. All the customer needs to do is confirm the payment by pressing the “OK” button. The system is supposed to reduce payment transaction time from an average of 30 seconds to less than 5 seconds. 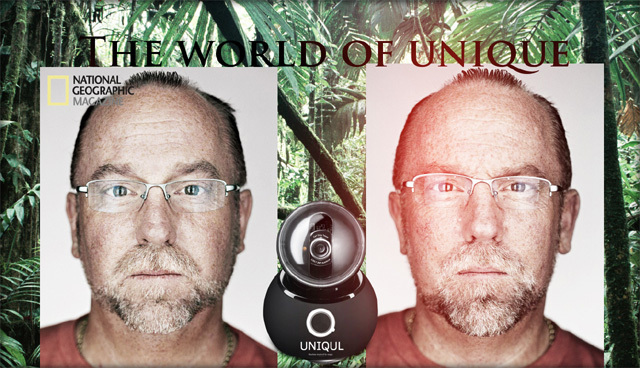 Uniqul claims its service is secured with military-grade algorithms. The fee structure is kind of wonky: For 7 euros a month, you can have access to the payment system anywhere in the world. For 3 euros a month, you get access only within a city of your choice and the nearby suburbs. And for just 1 euro a month, you can use the system within a 1-2 kilometer radios of a point of your choice.